Samsung's latest embedded storage chip for mobile devices puts 256GB within reach of smartphones. Your next phone might pack a whopping 256GB of onboard storage thanks to Samsung. The Korea-based electronics maker announced on Thursday that it’s now mass producing 256GB embedded flash memory chips for smartphones and other devices. 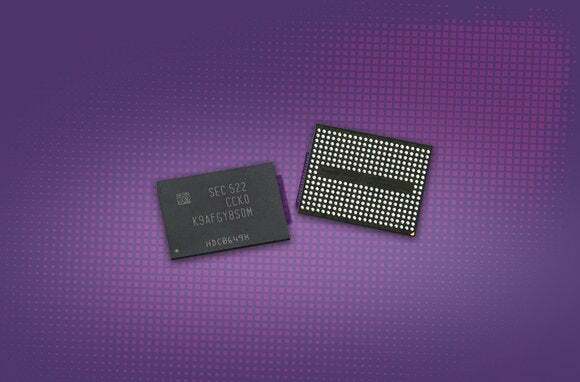 The new memory chips are smaller than a microSD card and can pack up to 256GB thanks to Samsung’s cutting-edge V-Nand technology. Based on the Universal Flash Storage (UFS) 2.0 specification, the new memory is almost twice as fast as SATA-based solid state storage drives on PCS, Samsung says. The new memory uses two lanes of data transfer to reach speeds of up to 850 megabytes per second (MB/s). Samsung says you’ll be able to transfer a full HD movie in about 12 seconds over a USB 3.0 cable at those speeds—assuming a 90-minute movie with an average file size around 5 gigabytes. The new memory also supports what Samsung calls “seamless ultra HD playback and multitasking functionality” on tablets and other large screen devices. What this means is that you can watch a 4K movie and carry out less intensive tasks at the same time without the movie skipping a beat. 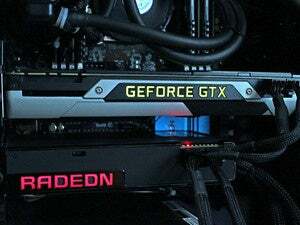 Whether that dream meets reality, however, depends on a lot of other factors when it comes down to a specific device, such as the processor’s capabilities. Why this matters: Packing more onboard storage on a smartphone is always a good thing, especially as we expect higher performance from our devices to do everything from send email to gaming to virtual reality. On top of that, operating systems are becoming more complex and requiring more room—so much so that a 16GB device usually reserves a massive chunk of that paltry storage for the OS. Many smartphone makers solve the storage issue by including expandable microSD storage. Now, however, it appears at least some of that storage issue can be solved with these embedded chips. With virtual reality 360-degree cameras for smartphones—not to mention 4K video capture—starting to appear more frequently, more internal storage comes not a moment too soon.